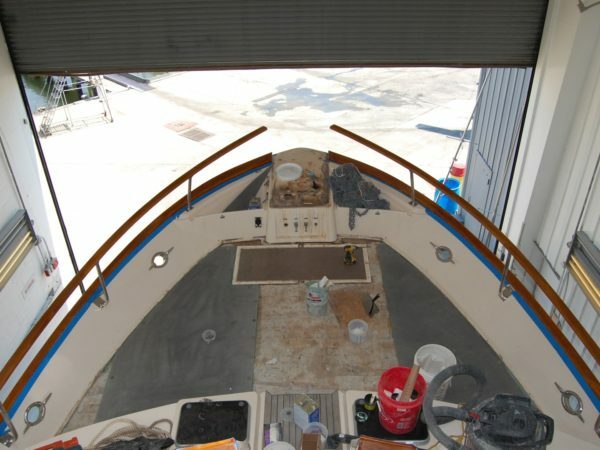 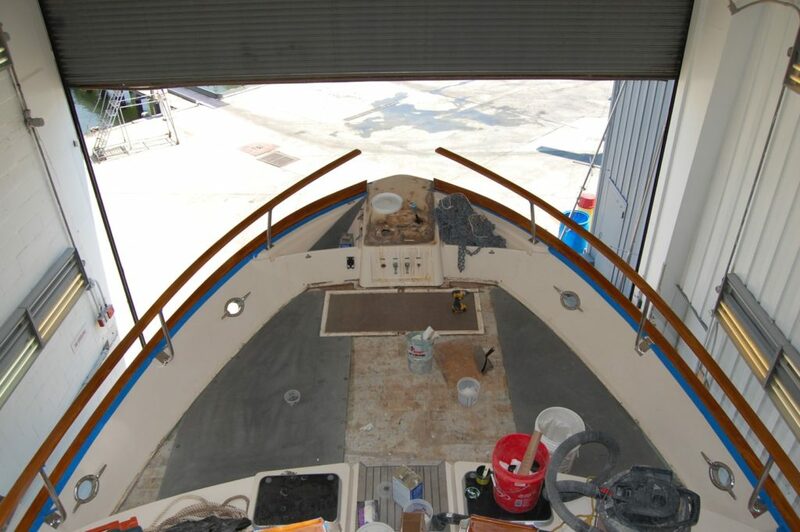 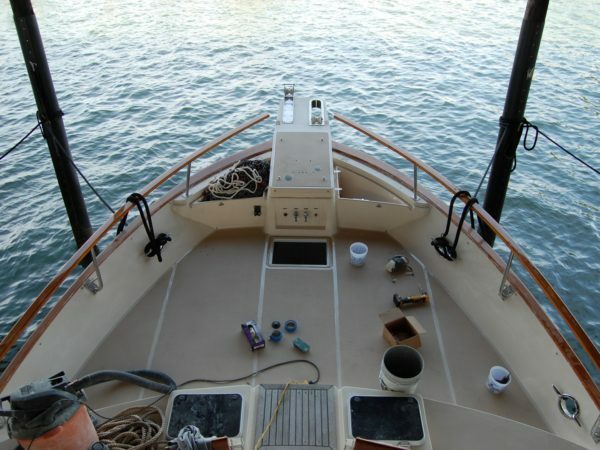 Non-skid foredecks have been available from the factory for a while, we now offer the option to retrofit non-skid panels on teak foredeck Flemings. 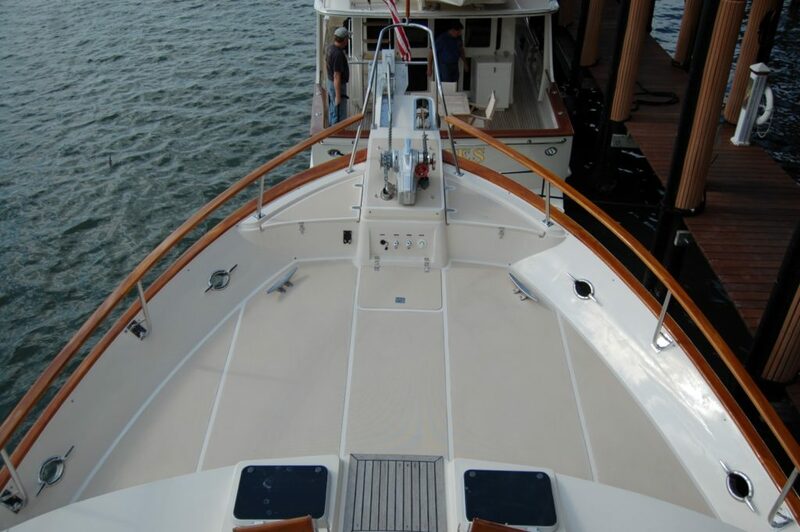 The classic allure of a teak deck is unmistakable and adds to the timeless appeal of a Fleming 55. 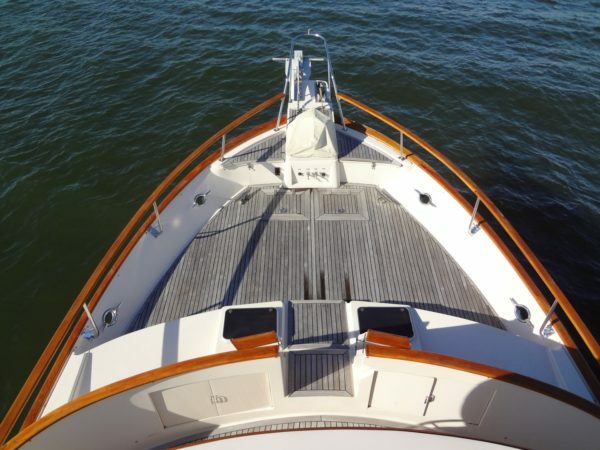 However, for those that prefer non-skid up at the bow, this option gives an alternative to teak. 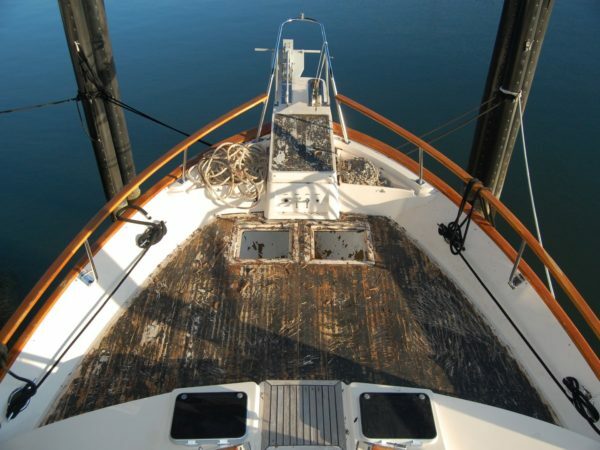 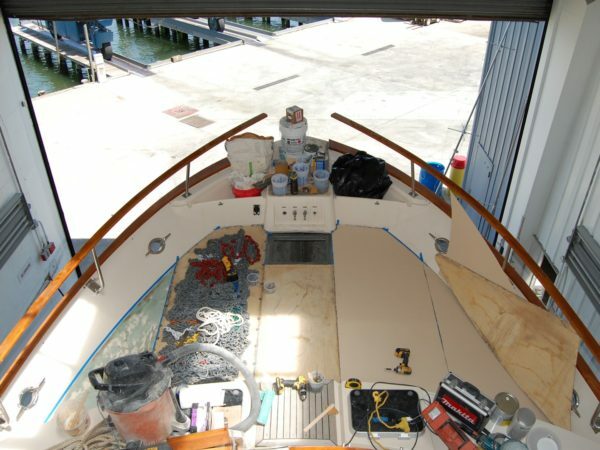 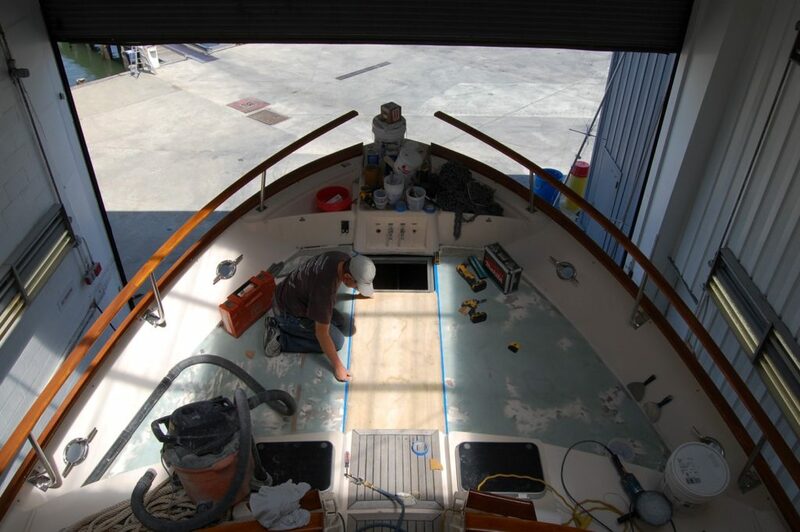 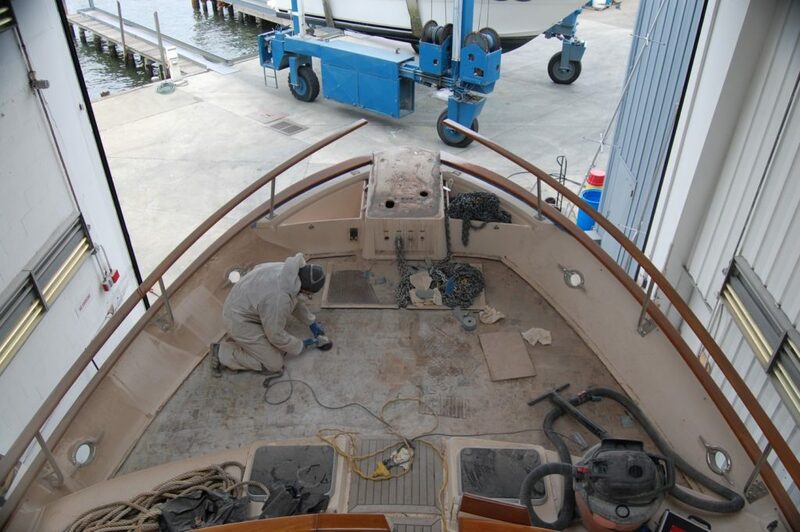 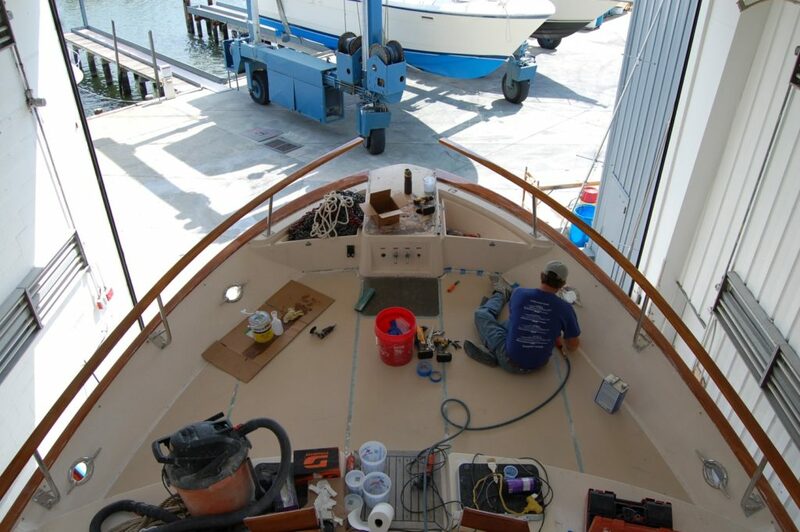 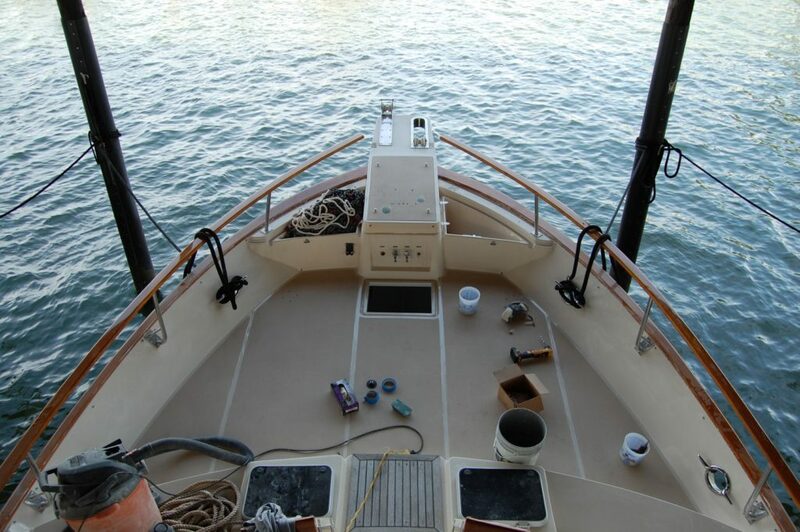 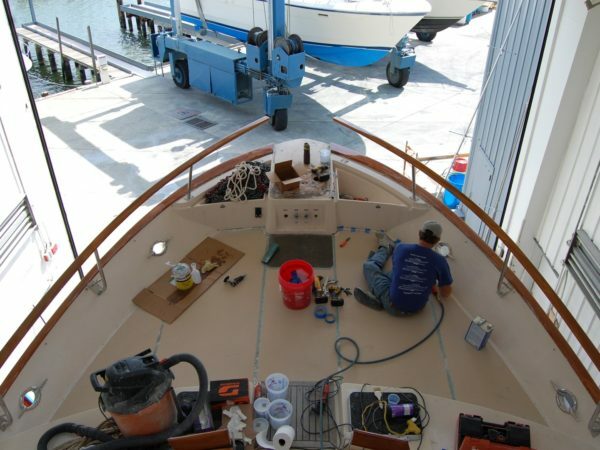 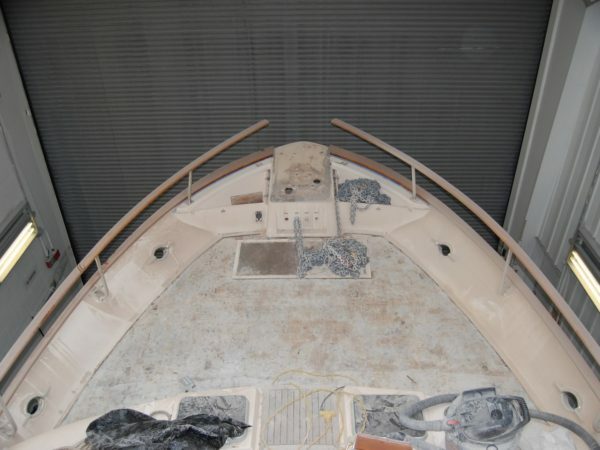 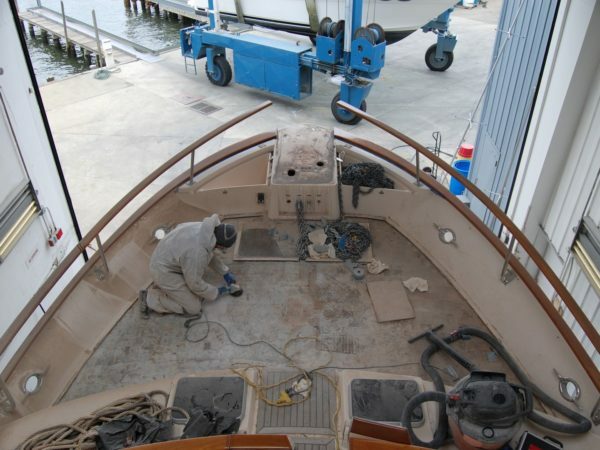 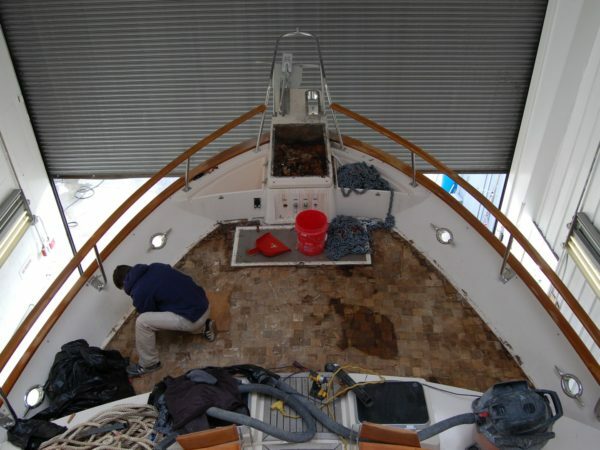 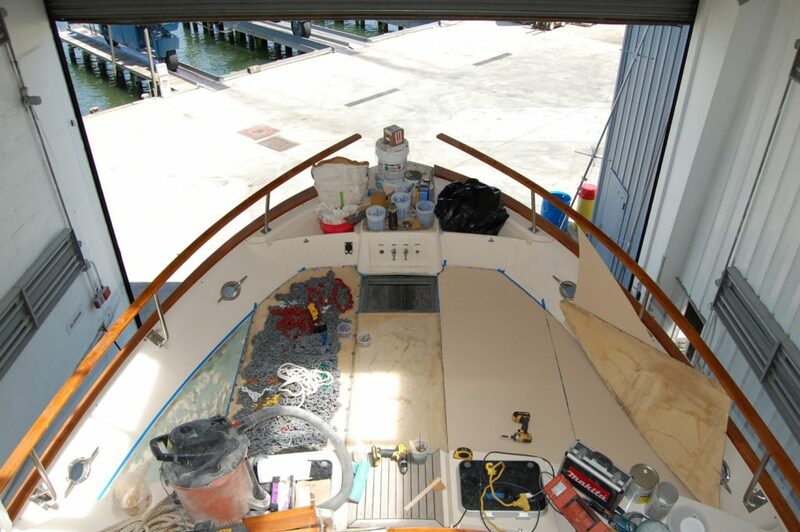 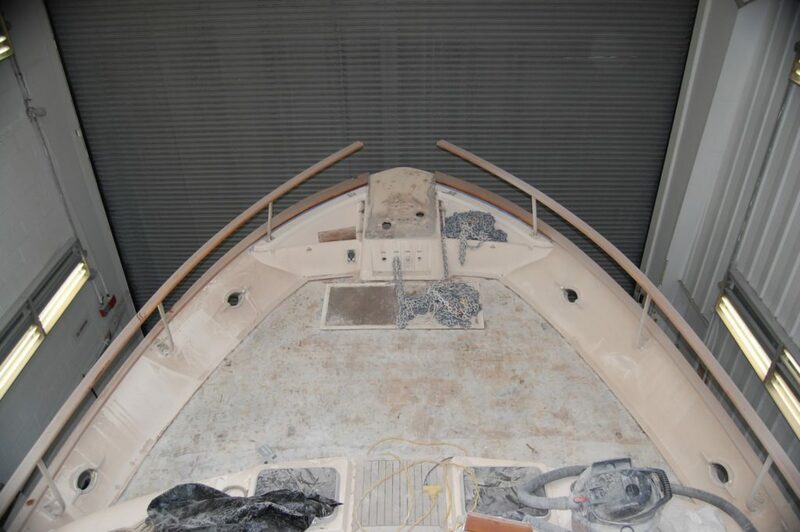 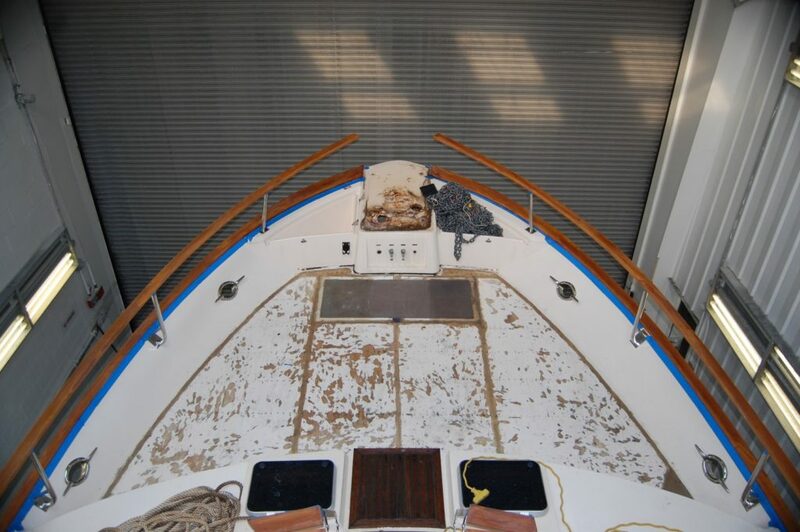 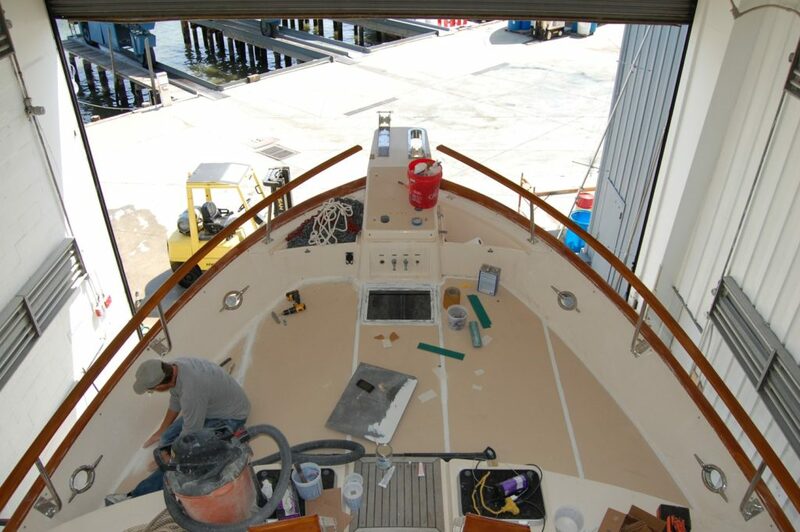 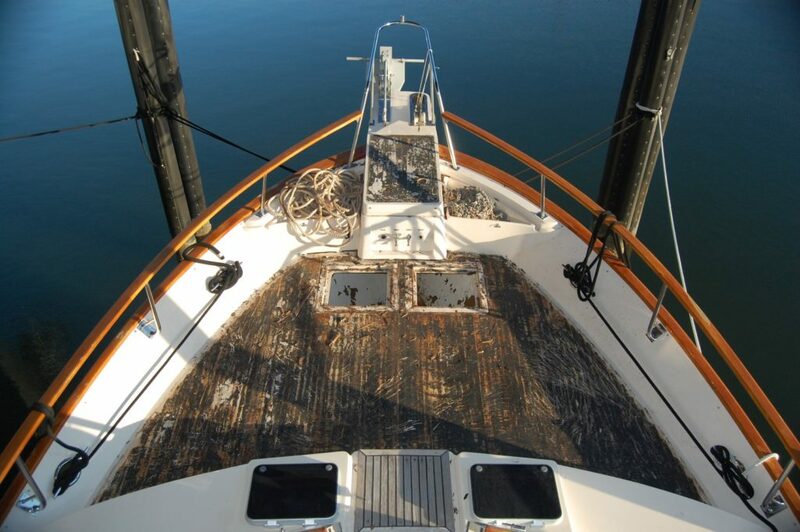 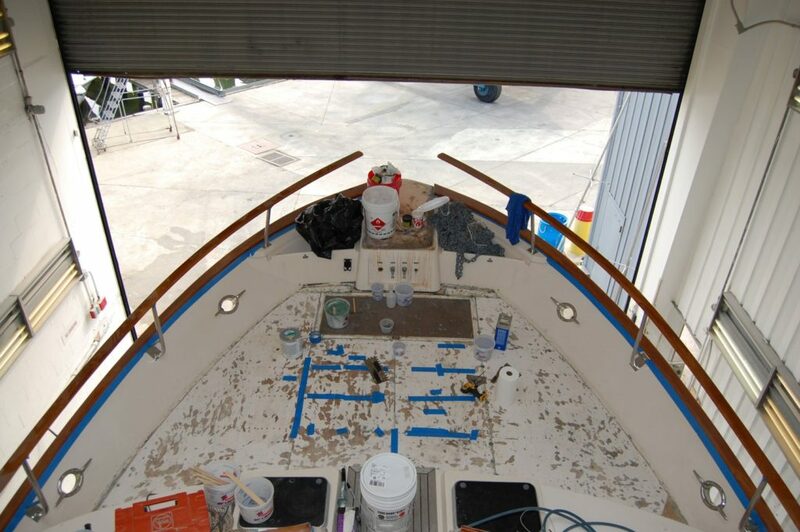 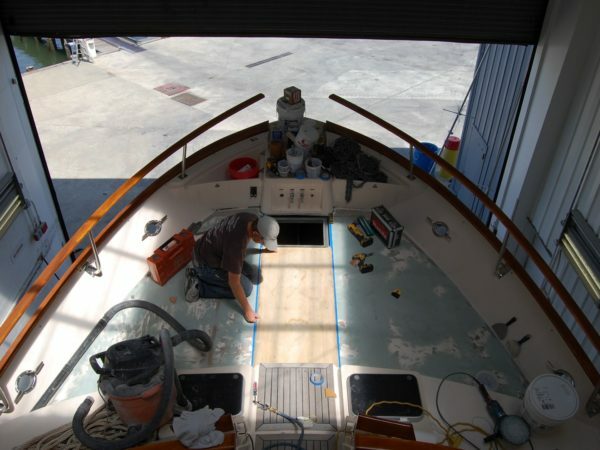 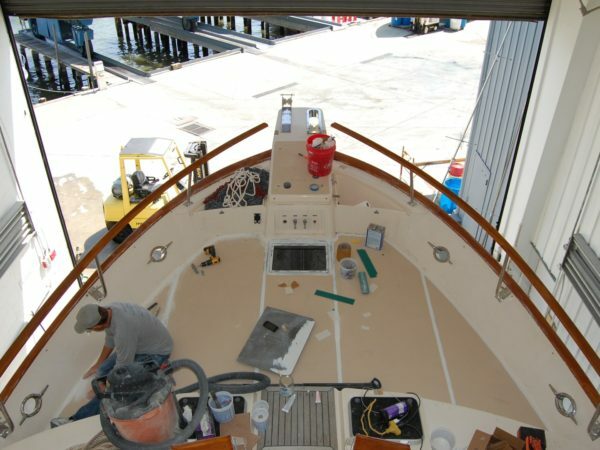 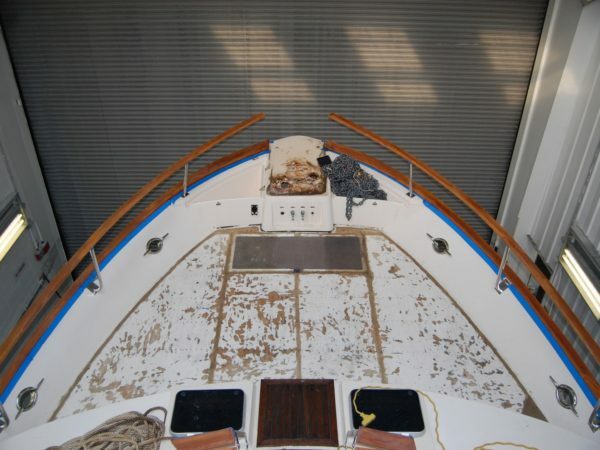 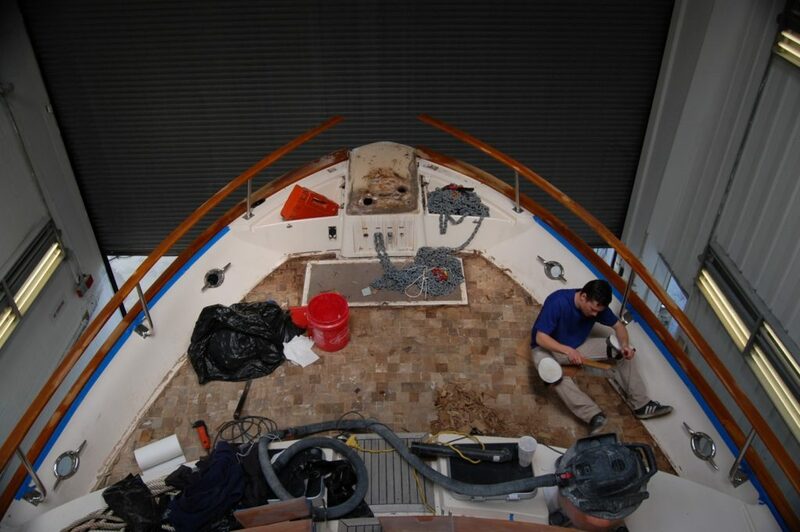 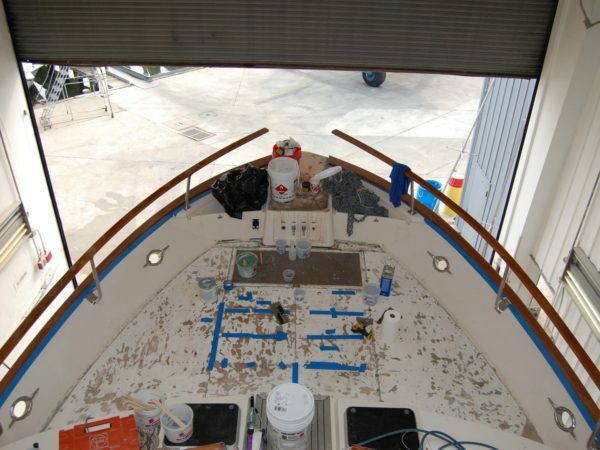 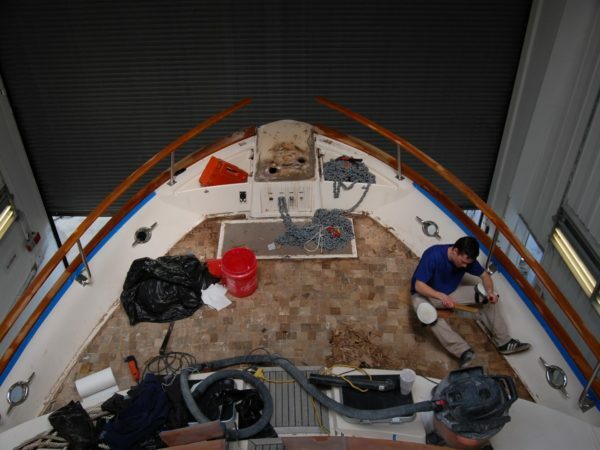 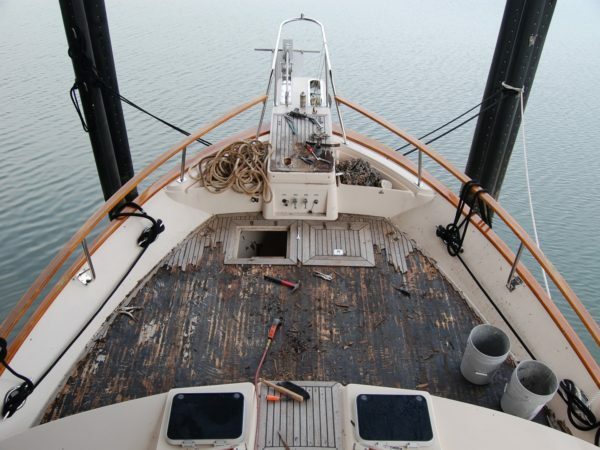 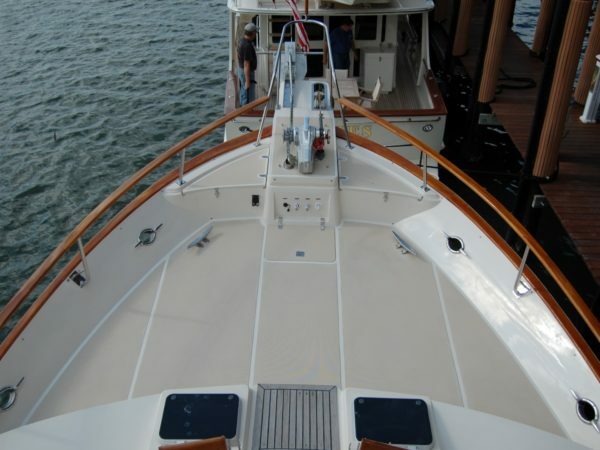 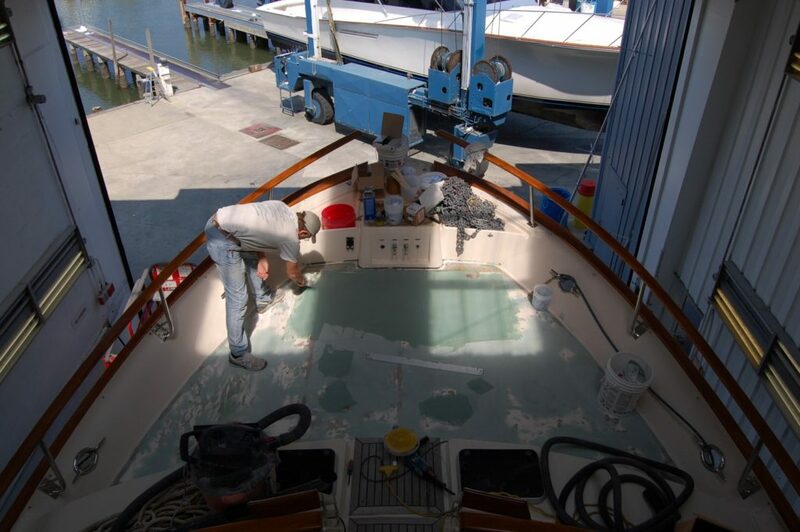 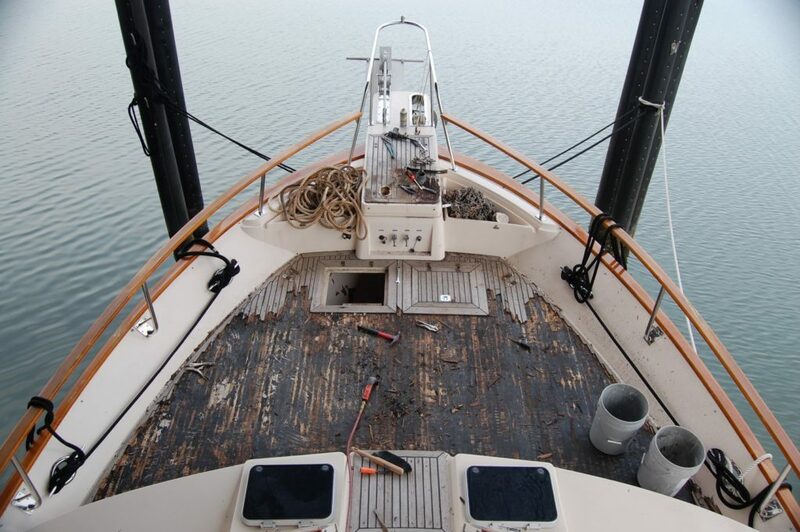 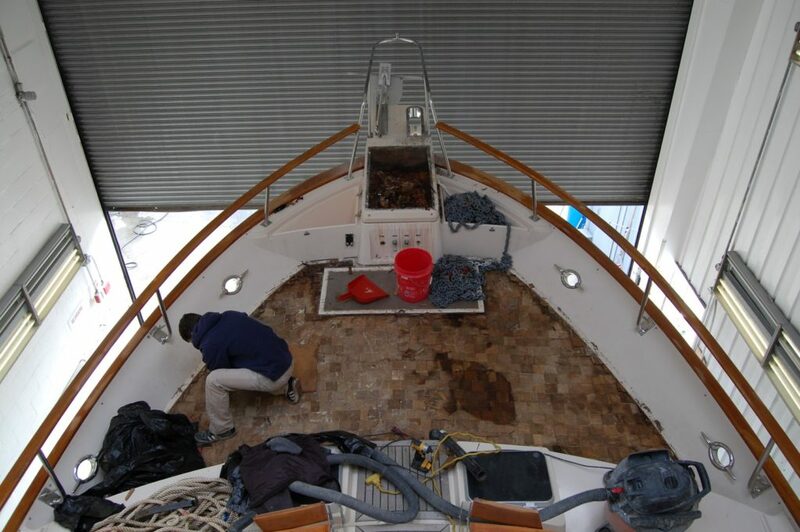 The following slideshow depicts our crew throughout the process of renewing a Fleming 55’s teak deck with a brand new fiberglass non-skid foredeck.